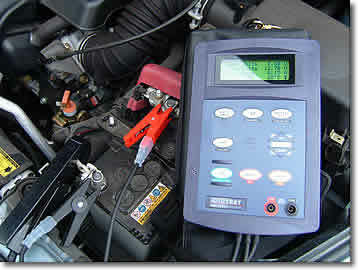 Johnson City car owners choose Ponder Auto Repair for battery and starting charging systems repair. Correctly working battery starting and charging systems are essential to the overall condition of your vehicle. Sit back, relax, and enjoy a delicious cup of coffee in our lobby while our capable, personable, and efficient auto mechanics service your car's battery starting and charging systems. We are so proud of the long-term relationships we have developed with car owners throughout Johnson City and surrounding areas. You have a busy day ahead. You place your key into your ignition, and your vehicle does not start. Instantly, you are faced with a major inconvenience. Let our team of auto mechanics at Ponder Auto Repair turn your bad day into a good one. Your vehicle's battery, starting and charging systems are significant in maintaining your car's ability to start and drive. We will service and repair your battery and starting systems quickly and correctly. We have the experience, expertise, and current technology to accurately access your vehicle's battery starting and charging systems. Since 1982, we have been providing Johnson City and surrounding areas with world-class auto repair service and customer service. Don't just take it from us. Here is a recent 5-star review from Emily R. about her positive experience at Ponder Auto Repair. She even wants to make us cookies! "Ponder Auto Repair did a wonderful job on my car! I just moved to the area and I was nervous about taking my car somewhere I was not familiar with. The guys at ponder were fair, honest and very polite when I took my car in! I am so happy with them I am hoping to take them all some yummy cookies soon!" - Emily R.
We take pride in the high quality of our auto repair services, technicians, reputation, technology, and equipment at Ponder Auto Repair. We stand behind our work so our customers can rest assured knowing that they're in capable hands at our car repair shop. You will receive reliable car repair services when you work with our professional auto mechanics. To schedule an appointment for battery starting and charging systems repair, contact us. We are located at 915 West Market St. in Johnson City, TN 37604.